I found myself very drawn to Tarot decks and Angel Oracle Card decks around the same time that crystals made their way into my spiritual practice. 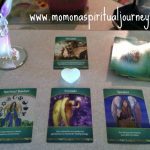 Angel Oracle Card decks are wonderful for self-reflection and make a great meditation tool. I read cards for myself once daily at most and often about once a week. If you start to read any type of tarot or oracle cards more often than that the results can become repetitive and not so useful or impactful. Have you ever seen a fairy? I always loved to draw and sketch fairies as a child but thought like many people that they are wonderful figments of our imagination. After all, many of us love the idea of being able to fly and have dreams of flying quite often. I once saw a fairy inside a bubble! On holiday in the UK one year (where I’m from) the children and I were blowing bubbles in the back garden there…giant bubbles with a giant bubble blower. As two or three of the last bubbles flew up into the air I looked up…and saw the outline of a fairy riding in one of them! I swear, little green hat, little green shoes, wings, the whole deal. And I’m an adult. I literally shook my head at the time because I couldn’t believe what I was seeing. I haven’t seen one like that since. Around the same time period I was doing some regular work with a Shaman here in Wichita, KS. We traveled out to a beautiful property near Augusta for an Equinox ceremony. We had a fire-pit burning brightly in a beautiful garden near the little Arkansas river there and everyone had enjoyed the ceremony. Sometimes the fairies will play with you and change the firefly colors. Again I had to shake my head as I saw things which were hard to believe. Blue, green, violet and even orange firefly lights were flashing around the garden. Quite beautiful and unusual. In order to clear any deck…if they are just coming out of the box, you’ll need to separate all the cards so they are not sticky. This will add your energy to each of the cards because you are touching them. Then tidy the cards into a neat stack and hold them with your non-dominant hand (usually the opposite hand to the one you write with). Use the other hand and knock or tap on the cards with your knuckles. This will clear any other residual energy from the cards. If you would like, you can bless the cards with a prayer of some sort. I always ask Archangel Michael to bless and clear the cards for me whether they are new or I am about to do a reading for myself or a client. If for a client, I always ask for a clear and accurate reading and use the clients’ name. So what was my question using this deck? I got a very nice broadcast from the fairy energy about the growth of my work for the coming two seasons. Spring – your desires fully manifested as the flowers begin to bloom. My work is growing and I’m writing a lot…plus learning a lot about designing blog sites, training courses and an online business. Summer – Everything that you’re asking for becomes yours in the summertime. I feel as if my creative energy is really blossoming now and I know it’s going to be a busy summer creatively speaking, so I’m looking forward to this! Travel – An upcoming trip proves to be life changing in positive ways. I’m going to be on travel a lot this summer, so the cards are spot on here…and I didn’t travel much at all last year – which made me feel stuck and slow so this will be good for my energy. 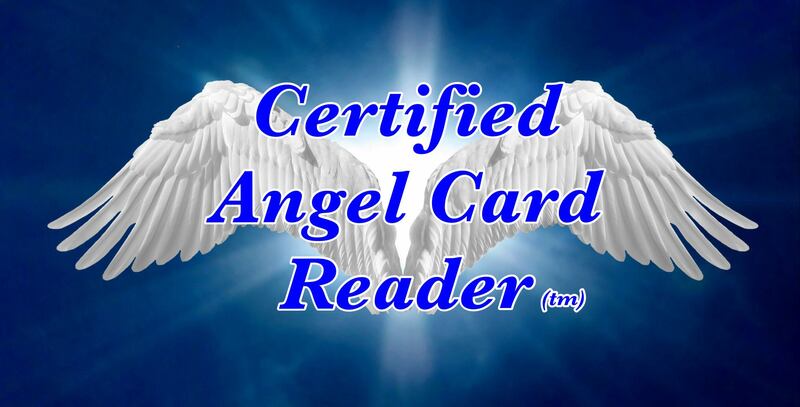 Let me know what your favorite card decks are and how you like to use your angel oracle cards!